Our curriculum is designed to reflect a balance between theoretical and practical tuition, providing you with the stimulation of a broad spectrum of prescribing methods. Learning aims and assessment criteria are selected to ensure that all learning outcomes are met. The use of a wide range of teaching, learning and assessment methodologies will continue to be encouraged. We place an emphasis on the creation of an academic environment in which students are encouraged to take an active part in the learning process. This includes student centred methodologies which require students to work together effectively – to problem solve, case evaluate and to make full use of the learning materials. Materia Medica is the study of medicines (remedies) used by the homeopathic practitioner. These come from a wide range of sources, which are predominantly plants and minerals. There are over 2000 remedies, which have been developed over the past 200 years and these are prepared in established homeopathic pharmacies. Each of these remedies has its own distinctive characteristics which have been ascertained through carefully evaluated research, known as Homeopathic Provings. Remedies are introduced gradually, throughout all four years of the course, beginning with simple remedies for first aid applications. This progresses to a deeper understanding of Homeopathic Materia Medica in order to be able to differentiate between the characteristic symptoms of individual remedies in a clinical practice environment. The History & Philosophy of Homeopathy play a key role in the formation of the course curriculum.Understanding these factors allows you to have an in depth knowledge of how homeopathy works and to base your practice firmly in the roots of a two hundred year old traditional system of medicine. 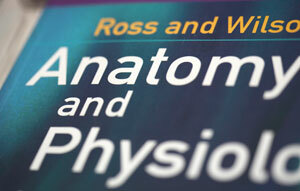 Understanding the human body and what goes wrong is an integral part of our course. Alongside learning how the body works, you will also study the pathology of disease alongside an appreciation of the common treatment methods employed within the NHS. This allows you to fully understand your patient and to appreciate the treatments they have previously received or are currently undergoing. As the course progresses, there is more emphasis on medical diagnosis and prognosis. You will also learn clinical examination procedures and how to use basic diagnostic tools such as blood pressure monitoring equipment. Other issues covered in depth include pre and post – natal health care and a deeper understanding of conventional medical approach to disease. Upon successful completion of this course, students will have studied the majority of significant disease and be able to responsibly identify a patient requiring hospital referral or other forms of treatment. Students will also be able to converse appropriately with other health care and medical professionals. Clinical training runs throughout our course curriculum. In Year One, clinical training is concerned with the study of case analysis with simple cases presented to you together with introducing you to the index of remedy symptoms known as the Homeopathic Repertory. During Year Two you will expand on your learning by attendance at the Student Clinics. Initially, you will observe a practitioner in consultation with patients and participate in case analysis, evaluation and discussion. Your observation of these cases continues through follow up consultations in order to gain experience of case management and development. As you gain valuable experience through observation you will be invited to ask the patient questions and to gain the skills necessary to enable you to take a case youself while supervised, finally progressing to professional practitioner level. You benefit from practical experience of case management including the organisation of clinical appointments, instructing patients on their prescriptions, efficient record keeping and the accurate dispensing of homeopathic prescriptions.